While many say CES 2017 was somewhat of a lackluster year for any sort of major breakthrough in technology, one key theme has been the increasingly ubiquitous use of voice assistants for devices of all types. However, what's maybe more notable—and arguably far more exciting—than talking to a fridge is taking to a car. 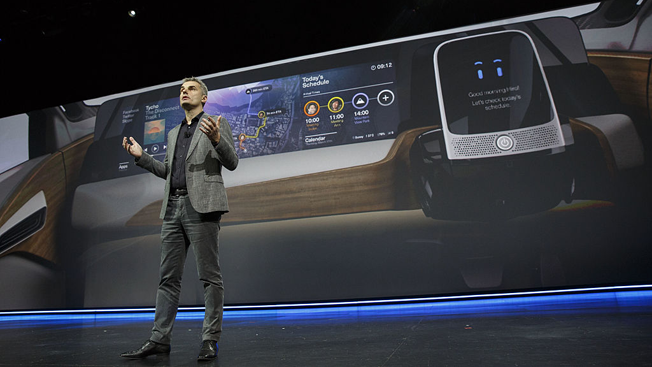 Several major automakers at CES unveiled plans to integrate either Alexa or Cortana into future versions of their vehicles over the coming year. A few days before Nissan took the stage for its Thursday night keynote, the company tweeted a teaser that seemed to hint at a possible Cortana integration. BMW made a similar move with Microsoft, announcing that its cars will have the assistant accessible through the vehicle's dashboard. The services seem to be comparable to those of Nissan, such as scheduling appointments, getting directions and placing restaurant reservations. Two other major car makers, Ford and Volkswagen, are picking Amazon's Alexa as their voice assistant of choice. With Ford, Alexa will be able to control a driver's connected home, start the car, and resume audiobooks right where they left off.